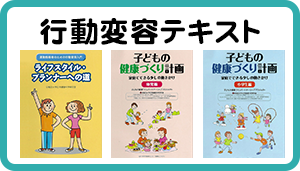 竹中先生　Bodenheimer, T, Davis, C. and Holman, H.(2007) Helping parents adopt healthier behaviors. Clinical Diabetes, 25, 66-7. 原さん　Haerens, L., Maes, L., Vereecken, G. Henauw, D.S., Moreo, L. and bourddeaudhuji, I. D.(2009) Effectiveness of a computer tailored physical activity intervention in adolescents compared to a generic advice. Patient Education and Counseling. 前場さん　Wise, J. B., and Trunnell, E. P. (2001) The influence of sources of self-efficacy upon efficacy strength. Journal of sport & exercise psychology, 23, 268-280. 飯尾さん Shegog, R., Bartholomew, L. K., Gold, R. S., Pierrel, E. , Parcel, G. S., Sockrider, M. M. et al. (2006) Asthma management simulation for children: Translating theory, method, and strategies to effect behavior change. Simulation in Healthcare, 1(3), 151-159.